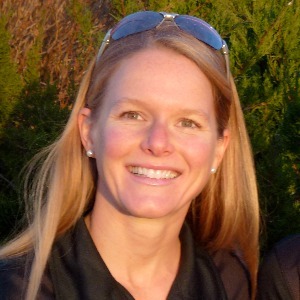 In 2011, not only was Cindi awarded USAT’s National Coach of the Year for her work developing an Olympic qualifier, but also for her commitment to her adult age groupers and the development of a successful junior program in Madison. Cindi is an olympic-level coach with a heart for developing the age group athlete and an ideal choice for anyone wishing to take their training and racing to the next level. As a USA Triathlon certified coach, beginners and elite level triathletes have benefited from her experience in creating training plans that capitalize on their strengths and minimize their weaknesses. Cindi encourages her athletes to develop goals that elevate them to the next level of performance while maintaining balance in their lives. Her goal is to help athletes increase their efficiency, strength and speed in all three disciplines of triathlon… and having fun in the process. Coach Cindi also leads group training sessions for those living in the Madison, WI area through her coaching business, Madison Multisport, LLC. These training sessions include swim-bike-run, form analysis, open water swim sessions, and transitions. Cindi is also a successful athlete with over 25 years of experience in competitive endurance athletics. Cindi began racing in triathlons fifteen years ago. Following successful high school and college running and swimming careers, she now races as an elite amateur. She is an eight-time USA Triathlon All American, a two-time Hawaii Ironman World Championship finisher and a sprint distance World Champion. Cindi has five times represented the state of Wisconsin at the Best of the US Amateur Triathlon National Championships. Success. Coach Cindi Bannink has been notified of your message.